This is one of those books I think everyone should read. 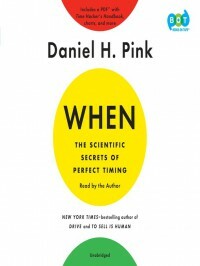 Daniel Pink explains that instead of a "how to" book, he sees this as a "when to" book. We all have daily cycles, with a peak and a trough. For most of us, the trough is in the afternoon--typically around 2:00-3:00 (though that varies by individual). Making important decisions during our "trough" period, according to Pink, is a terrible idea. Surgical errors are much more likely in the afternoon, than in any other time frame. Though there are certain types of activities that can be performed successfully during the "trough" time, so planning tasks according to our own cycles is a useful strategy. Just as there are daily cycles in every person's day, there are lifetime cycles, economic cycles, and others. Pink offers useful information and strategies on the various types of cycles--offering ways to become a "time hacker." There are hacks to use as an individual as well as synchronizing groups. 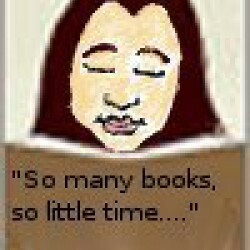 Having listened to the audiobook, there are points I plan to review in the print book. I might actually buy this one.